The most unexpected thing we’ve heard so far concerns the name of the next gen iPad to be iPad HD instead of iPad 3. As Apple has a long practice to surprise us (remember the long anticipation of iPhone 5 and we got iPhone 4S after iPhone 4instead, as well as iPhone 3GS after iPhone 3G) and considering the fact that Apple is rumored to be doubling the resolution of the current iPad 2, it is quite possible that we’ll see iPad HD Tomorrow. But if Apple does go with iPad HD, what would the further next generation iPads be called - iPad HD 2, iPad HDS or what? This is all for now- not to mention some minor tweaks about the huge resolution, unbelievable speed and so on. So guys, call for just a little patience and wait for tomorrow to unveil the truth! This is all for now- not to mention some minor tweaks about the huge resolution, unbelievable speed and so on. 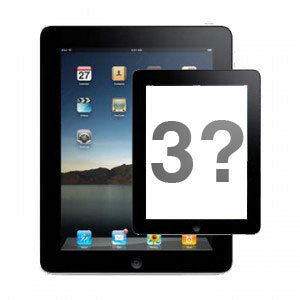 Whatever there should be introduced, the recent study shows that 42% of iPad owners are ready to buy an iPad 3! So guys, call for just a little patience and wait for tomorrow to unveil the truth!